This picture was requested by renowned Hibs fan, Lothian Buses pinup, local DJ and pantomime star Grant Stott over Twitter. 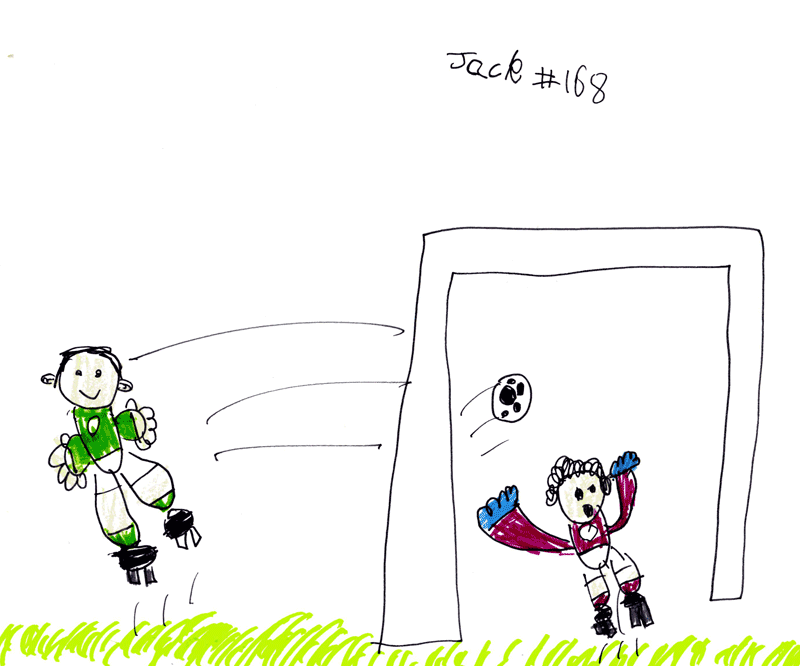 Daddy was very tempted to let Jack draw Grant in a Hearts strip putting the ball in the back of his own net (that would count as a goal for Hibs wouldn't it!). Hope you like it Grant? Jack…this is another fantastic drawing. I love it!